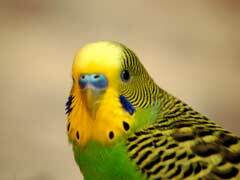 Budgie Bird for Sale – 7 Things to Remember Before Buying! 1. Buying a budgie bird means that you are committed to spending the time, effort, and money needed to provide the proper diet and care for the bird. These birds may live for fifteen or even twenty five years, and will require care during this span. 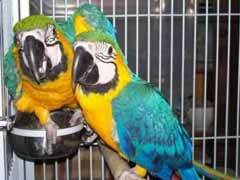 Talking birds for sale should never be an impulsive purchase, you should consider this type of pet carefully before buying one. Moluccan Cockatoo Birds For Sale – Where to Find? Finding cockatoo birds for sale can be far tougher than buying a run of the mill cockatiel or parakeet. Even more challenging is buying a moluccan cockatoo. These birds are endangered in their wild habitat, and international trade is banned in many countries, so shipping them out of Indonesia is near impossible. 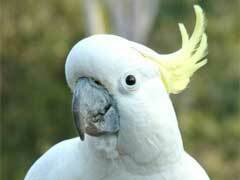 Also, unlike many exotic pet birds, the moluccan cockatoo has had difficulty breeding in captivity. Recently, though, some American breeders have had limited success, helping to introduce a new wave of handfed captive bred moluccans into the legal bird market. Cockatoo Bird Cages – How To Choose The Best? Cockatoos are great pets. They tend to be friendly and affectionate, and they are very intelligent. Their large size, though, can make buying them a home fairly difficult. Cockatoo bird cages need to be sized according to the breed of cockatoo. Rose breasted cockatoos are smaller and as such require less space than a moluccan. 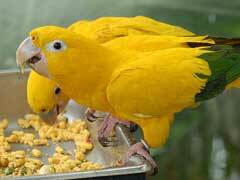 If you have your heart set on golden conure, be prepared to make a sizable investment to make that wish come true. Unlike the blue crown conure and other species, these birds are not as readily available so purchasing one can be challenging and expensive. For potential owners and new owners, here are a few other facts that might want to know about their feathered friend. Having an intelligent bird in your home can be enjoyable for many reasons. 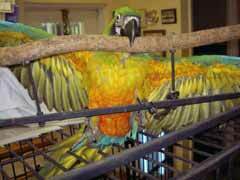 However, you need to understand some of the pitfalls of jenday conure behavior and how to avoid them when you are making that decision. 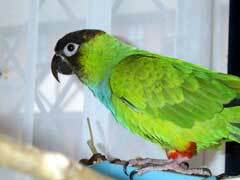 Feather plucking is one of the most common behavior problems affecting this particular type of conure, as well as other varieties including the nanday conure. When you make the decision to bring a nanday conure into your home, you do need to take a few steps in preparing for the new arrival. Make sure you know what you are getting into before you open your home to one of these beautiful birds. 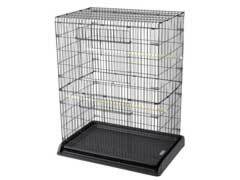 Whether you get a nanday conure, a jenday conure, or one of the other species, you need to invest in a large cage. 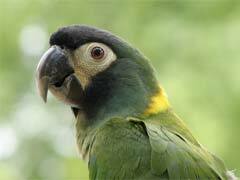 Sharing your home with a blue crown conure can be a rewarding experience. 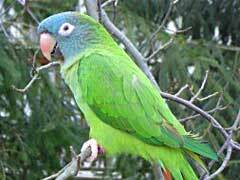 These beautiful and intelligent birds can be entertaining and very loyal. However, they do require a great deal of care so you need to be prepared before making a commitment. After all, these birds can easily live 15 to 20 years in the home. 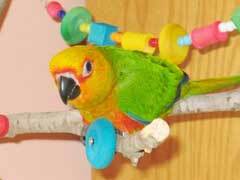 The first step in preparing your home for one of these birds is to determine the appropriate blue crown conure cage size.